In the age of global capitalism, vaporwave celebrates and undermines the electronic ghosts haunting the nostalgia industry. Ours is a time of ghosts in machines, killing meaning and exposing the gaps inherent in the electronic media that pervade our lives. Vaporwave is an infant musical micro-genre that foregrounds the horror of electronic medias ability to appear - as media theorist Jeffrey Sconc… e terms it - haunted. Experimental musicians such as INTERNET CLUB and MACINTOSH PLUS manipulate Muzak and commercial music to undermine the commodification of nostalgia in the age of global capitalism while accentuating the uncanny properties of electronic music production. 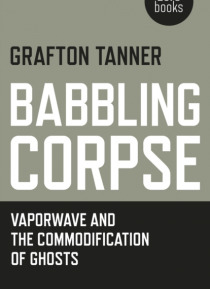 Babbling Corpse reveals vaporwaves many intersections with politics, media theory, and our present fascination with uncanny, co(s)mic horror. The book is aimed at those interested in global capitalisms effect on art, musical raids on mainstream indie and popular music, and anyone intrigued by the changing relationship between art and commerce.